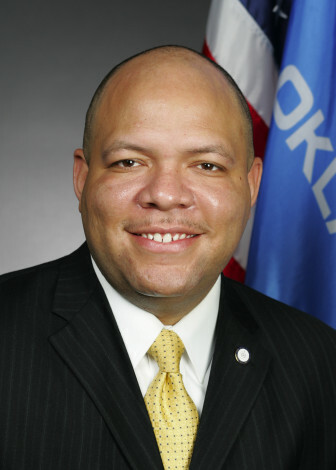 A member of the Oklahoma Legislature’s Black Caucus said Monday the group would contact University of Oklahoma President David Boren after a video surfaced Sunday evening that showed members of an OU fraternity chanting racist slogans during a bus ride. State Rep. Mike Shelton, D-Oklahoma City, said the students involved in the incident should be suspended. “It’s one thing to try to take the brand of the fraternity off the campus. It’s another thing to expel those kids off the campus,” Shelton said. On Sunday, a video was posted by the organization, Unheard, a black student organization. The video, which quickly spread across the Internet, reportedly showed members of OU’s Sigma Alpha Epsilon fraternity chanting racist slogans. “It wasn’t SAE that created it (the chant) it was those young people who, clearly, have been taught wrong,” Shelton said. Shortly after the video was posted Boren sent a message via Twitter that said racist behavior would not be tolerated at the university. Later, Boren issued a second statement that said the university would respond quickly to the incident. Late Monday afternoon, the full Legislative Black Caucus issued a statement condemning the incident. Oklahoma Governor Mary Fallin said the fraternity’s action didn’t represent Oklahoma values. 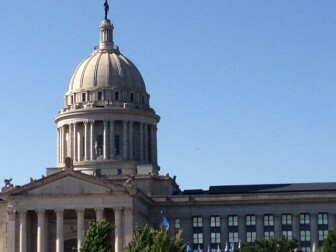 This story was updated at 5:33 p.m. to include new comments from other lawmakers and Governor Mary Fallin. House speaker says a final bill creating a commission to evaluate state tax incentives won’t include oversight from the state auditor’s office.